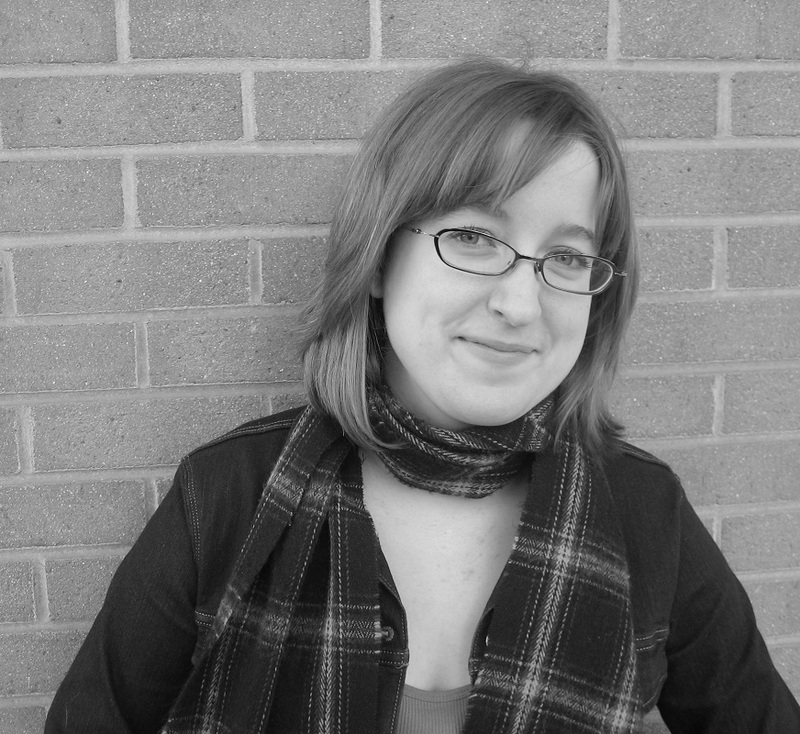 Laura Citino’s story “Drills” appears in Midwestern Gothic Issue 13, out now. I’ve been writing stories since I was a child, mostly what I guess you’d now call fan fiction. I’d write myself starring in sequels to things like Peter Pan and pretty much anything featuring a talking animal. I’ve always been a really aggressive journal writer as well. I have notebooks of mine from high school full of margin-to-margin handwriting, no paragraph breaks, etc. My father once very flatteringly compared it to something that the Trashcan Man from The Stand would write. I went through a brief period of wanting to do something science-related when I was in high school, but when I got to college and realized you could actually study writing full time, well, it was all over from there. I was born outside of Cleveland, where my parents were also born and raised. We then lived all of my adolescence in Ypsilanti, Michigan, a very weird little town in the southeastern part of the state. I went to college at Western Michigan University, and after a brief couple of years in the Northwest for grad school, my partner and I have recently returned and now live in Indiana. We still feel crazy about this decision sometimes (Washington had mountains) but it was a soul-connection thing; we’re back in the place we feel best. My stories often start out as extended character profiles. When I get frustrated with a person in my real life, whether it’s because they won’t sleep with me or they won’t get a real job or they refuse to admit they have father issues, it’s been my habit to write them into fiction. I put them in a story and get them to confront their problems there. When I think of those characters, I feel like each and every one of them could only exist in the Midwest. The coasts harbor their share of oddballs, but Midwesterners are some of the most frustrating people I have ever met. We want things so deeply yet are so paralyzed by the thought of failure that we refuse to take even a single step in the direction of our desires. We are strong but so brittle, open to every vice on the planet. We can’t seem to plan five days in the future, to save a little money, to move out of our parents’ house, to make a substantial change that’ll stick. I also write about the Midwest because I think we are a little misunderstood. I adamantly say to whoever is unfortunate enough to suggest otherwise, we are not country bumpkins. I hate this stereotype that are we are all white, cornfed, jolly types, hard workers who are honest as the day we were born. Midwesterners are not inherently good people. I’ve been screwed with, cheated by, and fucked over by my fair share. And I feel like my specific region is important to note; sometimes when I introduce myself as a Michigan writer, I feel this urge to specify that I’m not a Yooper or a farm girl. I didn’t grow up apple picking, camping, or speaking like a Minnesotan. My parents are from Cleveland, my mother refuses to camp. The Midwest as I know it has all these weird little ex-urban centers, racial tension, constant construction, fish dying in rivers full of estrogen. Not much pastoral, peaceful, or pacifist. I feel like a big part of it has to be one of the core Midwestern values, which is: don’t brag about yourself. I have always admired people who can talk about themselves socially, who can say, This is who I am and these are all the things that I’ve done. I find it really hard to do that myself, and I think a lot of people who grew up in the middle of the country like this—with the cultural tastes dictated by people you never saw in cities you’d never been to—feel the same way. Nobody asked for our opinions about anything before. Why do you want to know about us now? That inherent distrust of talking about yourself, I think, has prevented us from developing a real regional “culture.” Keep to yourself, put your head down, don’t worry yourself with lofty ideas of “identity”—essentially the usual, go get a job, you hippy. The Midwest has been a place of diaspora for such a long time. The biggest refrain from my high school years was, “I just can’t wait to get out of Michigan.” When I was going to school in Washington, we were amazed by how many Midwesterners—to be even more specific, Michiganders—had chosen to go to school so far away. But now, it seems like people are consciously choosing to go back, or to stay in the first place. There is a generation of people ready to confront and critically analyze our past of white flight, corporate sellout, environmentally wasteful attitudes and build something new, together, so that we do have a regional culture that can draw energy in instead of leeching it out. I have done so little of it yet, partially because I am still enamored with old school ideas of what it means to be a “real writer”—to be published in lit mags, have a book out, give readings, all of that—and to have that designation handed down from on high by editors, agents, etc. But I don’t like that I’m stubborn! I love that the writing world is so democratic and equal opportunity, and I really want to get better at it. I have a Twitter that currently consists of vague complaints about my personal life and what I’m eating at that very moment. I try to retweet cool writing things, but at the end of the day, it’s still just a lot of Morrissey lyrics. So many to choose from—so I’ll cheat and choose The Collected Stories of Amy Hempel, which includes all four of her short story collections, though out of that “Reasons to Live” is probably my favorite. She as a writer just makes me freak out. Her stories are hilarious and sad, the structure so weird but resolving in the most beautiful ways, and she captures this certain female character that I think I have subconsciously been trying to emulate in my real life for far more years than is healthy. She’s got this knack for the completely perfect image, for turning her sentences over on the sharpest dime. When I read a story like “BG, SL TOG, INC, CONT, REP,” I underline everything. I have to be a good daughter and say my mama’s spaghetti sauce, which was given to her by my dad’s mom, who got it from her husband’s mother, our great-Calabrian-grandmother. I’ve learned to make it with the very carefully written instructions from my mother—brown the pork before the beef, one shake of parsley every hour for three hours, the whole nine yards—but it’s way, way better when she makes it. That with crusty bread, red wine, and good company, you just can’t beat it. This is always a hard question for me to answer because I feel so uncool, so much of the time. Every time I’ve met a writer I admired, I babble in their general direction and usually completely forget to mention that I am a writer also. I’m not good at schmoozing. I’d have to say Hunter S. Thompson. My father first gave me his copy of Fear and Loathing in Las Vegas when I was a junior in high school; it was this big father-daughter moment, like, “Now you are ready.” I know HST has got a legendary larger-than-life persona built up around him, but I really just adore the guy’s writing. So punchy, funny, and passionate, lots of unexpected adjectives. It’s a textbook on how to develop a strong voice. His work was really one of the first things I read that made me want not just to be a writer to tell stories, but to wrap myself in language. I assume we’d be drinking beer. Right now, you can follow me on Twitter and read all my shouting about my Netflix binges at @ljcitino. I love saying hi to people, and if you’re a writer or an editor or a person interested in words at all, I am always looking for cool projects and cool people to work with. You can also read my nonfiction and shorter (mostly Midwestern) musings on Bark, an arts and culture blog at www.thebarking.com/contributors/ljcitino. Someday soon my very talented, web designing man is going to make me a website, and you’ll be able to find me there—thankfully, as far as Google can tell me, I’m the only Laura Citino out there, so I should be easy to find in the future.